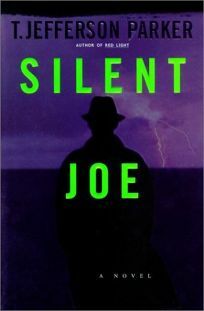 Parker (Red Light) lowers the volume from his usual roar and adds a subtle backbeat to this bittersweet thriller about a man's anguished search for his father's killer. Joe Trona is a dutiful son, but horrible facial scars have made him an outcast. He lived in an orphanage until he was adopted at five by Will Trona, a powerful politician in Southern California's Orange County. As a hulking teenager and later as a young man, Joe became Will's right-hand man running errands, extracting revenge on enemies, protecting his flank all the while living a lonely life because of his disfigurement. One night, Joe drops his guard for a moment, and Will is gunned down. Despite aggressive investigations by the FBI and sheriff's department, Joe seeks his own vengeance. He starts sifting through his father's life and gradually discovers that Will brokered secret deals, blackmailed enemies, had extramarital affairs and in his final days appeared to be involved in the kidnapping of an 11-year-old girl. Joe's investigation becomes a personal voyage, casting light on the dark corners of his own past and allowing him to start overcoming the crushing indignity that his injury has forced him to endure. Capped by a violent yet poignant finale, the plot is loaded with familiar Parker themes a faithless government, the heavy hand of big business and the corruption of the wealthy. Parker's tone, however, is more pensive this time. He crafts an intricately layered story reaching beyond his usual domain into more personal territory, at times evoking the work of Ross MacDonald. (Apr. 25) Forecast: A teaser chapter in the paperback of L.A. Times bestseller Red Light, a $150,000 marketing campaign and a five-city author tour will speak up for what is perhaps Parker's most ambitious work to date.